Recently, I was approached by some folks who oversee the theology/biblical studies journal Religious Studies Review (RSR), which is based out of Rice University, and was asked if I would join the editorial team. 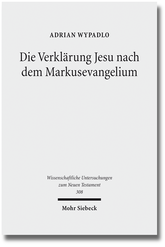 I gladly accepted the offer as a sub-editor and am now overseeing books related to the Gospels, particularly the Gospel of Mark. 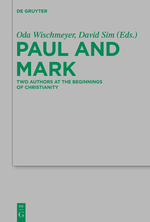 Part of what this means is that if you are someone interested in Markan studies and someone also interested in getting awesome books in exchange for writing reviews (and by the way, RSR's reviews are typically about 600 words in length! ), then it would be great for us to be in touch. Of course, I can't promise everyone who approaches me a book and I can't promise that I can get you a book, but if the situation avails the opportunity, I can work to try to make it happen. Having said that, at present, I have three books sitting on my shelves that need to be reviewed. If you are interested in any of the following, do let me know asap and we'll try to get things squared away. You can contact me directly through the form found HERE. 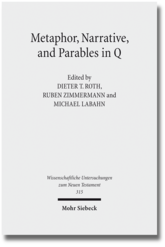 ***UPDATE** (11/18/14 at 9pm EST): The work Paul and Mark has now been claimed as has Metaphor, Narrative, and Parables in Q.
I'd love to--I may contact you when I finish my last paper! Okay. We may not have them still by that point but you can check back. Thanks.